So what does Synapse do? It well... searches stuff... If you ever used Gnome Do / Quicksilver / Gnome Launch Box, you'll feel right at home with Synapse, if not, the only thing you need to do is run Synapse (or press Ctrl+Space to summon it), type what you're looking for, and Synapse will present you a list of items that match your query. Once you found the item you were looking for, you can perform an action on it (and these are defined by the plugins you're using). If you don't like the default action, just press Tab and search appropriate action. 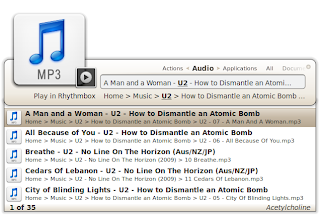 And besides this primary use-case, you can also browse recent items which were logged by Zeitgeist, in case you close a document by mistake or just want to hear again the music track that played a few minutes ago. I'm glad you agree that the release codename is just awesome, and besides that it's also a name of a neurotransmitter which transmits signals across synapse. 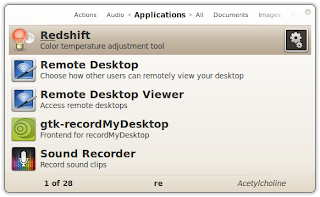 But other than that it's an alias for Synapse 0.2.0. How does it find stuff? 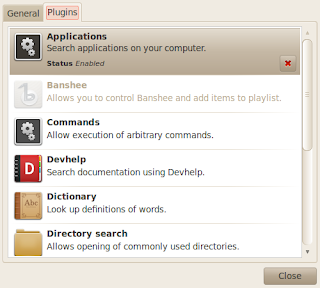 Using plugins of course - currently the development was focused primarily around using Zeitgeist for the searches, and there are even plugins that process the output from the Zeitgeist plugin and either try to improve the results, or find similar files on the filesystem (for example the Hybrid search plugin). 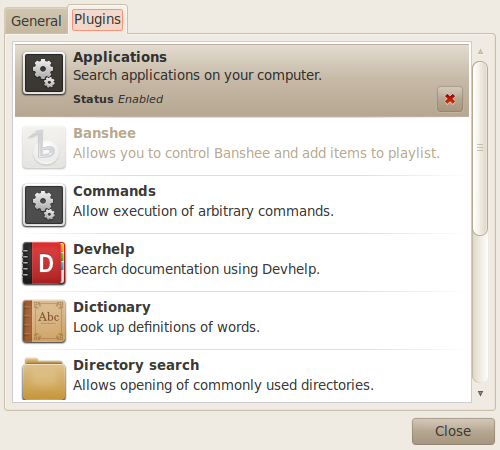 Still, all of the functionality is based on plugins, so further development can lead anywhere. What plugins are available in Acetylcholine? Please feel free to report bugs, ask questions, or talk to us in #synapse on freenode. I want my app to provide results for Synapse! And before I wrap this post up, I want to thank everyone involved in the development - especially Alberto, who implemented the beautiful UI and designed most of the themes; then Seif, who (after finding out about the project, despite me trying to keep it a secret from him) helped a lot to steer it in the right direction and also came up with this great name; Izo who contributed us the icon and logo; and also all of our early beta testers (especially Mikkel, who had multiple good points and Ketilwaa, great idea with the codenames). What about Tracker? It would be great to have its search integrated in this tool. I need an rpm package for Fedora 14, i can't install it from source no matter what i do (I'm not very skilled installing from source btw). The scrolling animation is pretty funny because of how the text colour changes on the selected item. No real suggestions how to fix it, and I'm sure you've noticed it. Personally, I would probably make the highlight move a lot faster and have a fade for the text as well. (Maybe 150ms for the whole thing just to give the impression of movement). Good luck with this! I look forward to seeing where it goes. I've already made a bzr branch (and I like your choice of language :b), so hopefully I'll be able help one day. Done, after an hour, i successfully installed Synapse in Fedora 14, everything is running great. The scrolling behaviour is weird, though. I suggest instantly moving the highlight to the new item, while slowly sliding it to the center. @David Gómez: you installed it on fedora by compiling from source? 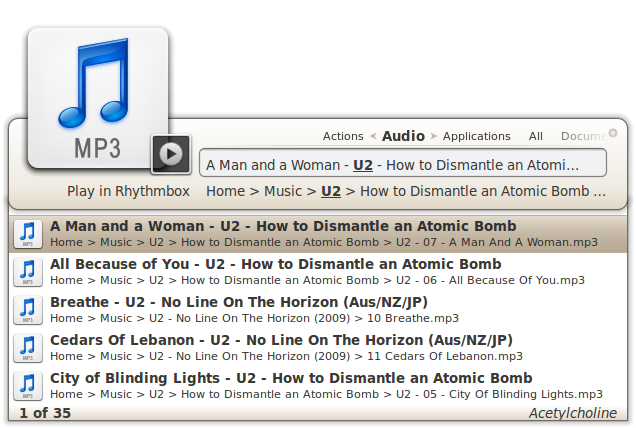 How you managed to install libzeitgeist? Nice to have a non-mono alternative to gnome-do available, compiling right now. Yes. Gnome-do has its issues, and depends on mono. I have focus follows mouse and when I summon synapse it doesn't steal focus like gnome-do did. Also, I cannot seem to bind it to super+space. scratch that on the binding to super+space :( Just tried it again and it works! Still have the problem with focus though. Please use the link from the post, this is not a place for bug reports. But it needs to memorize your most used searches/commands, just like Do and Kupfer do. long time Gnome-Do fan, but this is quick on this very old PC I'm fixing up =) i like. I really missed this functionality after switching from Mac (Spotlight/Quicksilver). Trying to figure out how to use this. I can launch apps, and can find local files. But, for example, how do I get the dictionary plugin to function? Is there a quickstart guide/cheatsheet for the various plugins?